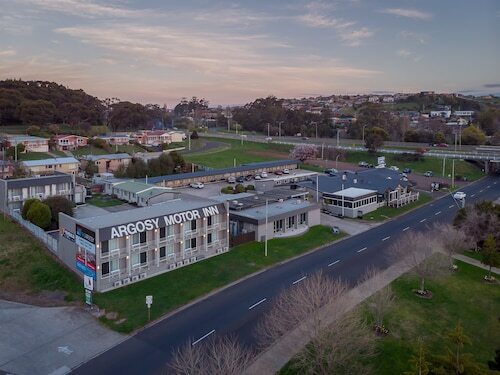 Situated in Latrobe, this apartment building is within 9 mi (15 km) of Australian Axeman's Hall of Fame, Devonport Ferry Terminal, and Devonport Golf Club. Home Hill and House of Anvers are also within 9 mi (15 km). 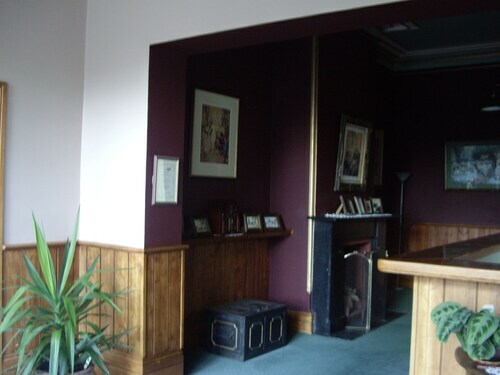 Situated near the airport, this bed & breakfast is 1.1 mi (1.7 km) from Australian Axeman's Hall of Fame and 1.4 mi (2.2 km) from House of Anvers. Devonport Ferry Terminal and Devonport Golf Club are also within 6 mi (10 km). Situated in Latrobe, this apartment building is 0.6 mi (0.9 km) from Australian Axeman's Hall of Fame and 2 mi (3.1 km) from House of Anvers. Devonport Ferry Terminal and Devonport Golf Club are also within 6 mi (10 km). Situated in Latrobe, this hotel is 0.5 mi (0.8 km) from Australian Axeman's Hall of Fame and 2 mi (3.2 km) from House of Anvers. Devonport Ferry Terminal and Devonport Golf Club are also within 6 mi (10 km). If you’re tempted by Tasmania, let Latrobe lure you in. A town on the Mersey River in northern Tasmania, it lies eight kilometres south-east of Devonport, on the Bass Highway. 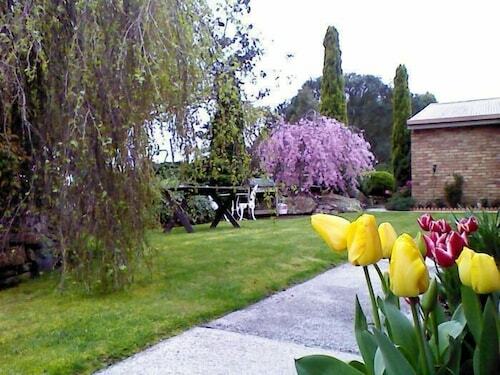 Our range of Latrobe hotels is perfect for exploring the beauty of this area. Latrobe was first settled in 1826 and named after Charles Joseph Latrobe, an early administrator of the colony of Tasmania. It is a town that is proud to remember its past. It has carefully preserved streets and buildings and you can find a wide selection of antiques and collectibles in the street shops and local markets – perfect places to find a gift or souvenir. In this beautiful part of Tasmania, there will be something to attract you. Right on your doorstep are some of the most captivating landscapes in the country. It’s hard not to appreciate the wonders of the natural environment when you can experience them in such an unspoiled setting. Warrawee Forest Reserve and Narawntapu National Park are havens for native wildlife – especially birds, wombats and Tasmanian devils. You’ll have the rare opportunity to see a platypus in its natural environment and among the ancient forest trees you might spot the beautiful and delicate Tasmanian wild orchids. You’ll truly be walking with nature – and there are experienced guides available if you want to know more. You could take a trip to the nearby coastal township of Port Sorell, only a ten-minute drive north-east from Latrobe. From there you can choose any one of the pristine golden beaches - all within walking distance - that offer views of the small islands in the inlet. At low tide you can reach Penguin Island and Rabbit Island on foot. You can go fishing, hire a boat or just enjoy a walk along the coast. 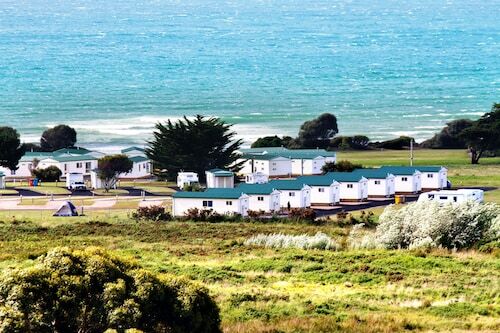 Just north, Freer Beach at Shearwater has bushwalking trails and plenty of grassy picnic areas on the foreshore. A little further on, Hawley Beach has bike-tracks and great views of Bass Strait. For easy day trips, the popular seaside towns of Devonport, Ulverstone and Burnie lie a short distance away along the Bass Strait coast. Tasmania has a reputation for the range and quality of its local produce. Latrobe and Port Sorell live up to every expectation. Visit Ghost Rock Vineyard just outside Port Sorell to enjoy a glass of wine or two or ask the locals about the legend of Ghost Rock. What about some Belgian-style chocolate? The House of Anvers produces a mouthwatering range made with local milk and cream. Throughout the year, Latrobe also stages regular events that are worth watching out for. One is the Henley-on-Mersey, an annual regatta which has been held for over 100 years. The Australian Axeman’s Hall of Fame is in Latrobe. You might catch a demonstration by the renowned local axemen, who have transformed a traditional occupation into a competitive sport. Your perfect northern Tasmanian holiday couldn’t be easier. 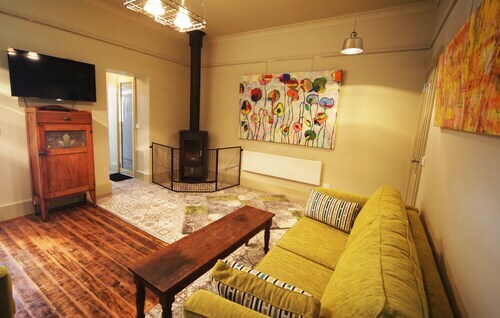 Latrobe is only a short drive from the Devonport airport. Book your Devonport flights and Latrobe accommodation now. This is a piece of the Apple Isle that will tempt you for sure. How Much is a Hotel Room in Latrobe? Hotels in Latrobe start at AU$130 per night. Prices and availability subject to change. Additional terms may apply. Location to the Spirit of Tasmania from where we were departing early the following morning. Very comfortable King size bed. Stunning view. Very quiet and comfortable.